Nutriops helps to limit the ecological footprint by offering a plant based diet, products from organic farming, and with a better management of the packaging. Our goal is offering a vegetable based diet that respects the environment. Choosing a vegetarian o vegan diet contributes to the well-being of the planet. Vegetable food production releases less CO2, and in this way, limits our environmental footprint. For example, producing beef generates ten times more CO2 than the production of vegetable, and a glass of cow’s milk generates five times more CO2than a glass of dairy-free drink. On May 29th, 2014 EcoMil has been registered by the VeganSociety.com. All EcoMil products have received the Vegan label and EcoMil now belongs to the big Vegan family wearing the sunflower brand. EcoMil is manufacturing organic products because our working philosophy takes its roots from the principles of respect of nature and environment, which led to the birth of organic farming. All our products are made with ingredients from organic farming, free from chemical fertilizers, pesticides or GMO. They are controlled and certified according to the European regulation (EC 834/2007) on products from organic farming. With our EcoMil organic almond milks in powder, we are helping to reduce the ecological footprint, as powder products are concentrated! Indeed, with one can of almond milk in powder you can make approximately the equivalent of 4 or 5 Tetra Brik! That means less packaging and less transport! The Tetra Brik packagings are 100% recyclable. 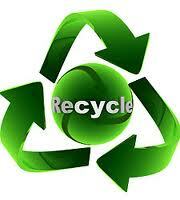 However, the recycling rate is different according to the collection and recycling infríastructures of each country. The Tetra Brik we are using are FSC certified. This independent body guarantees that the paper used in the manufacturing of Tetra Brik comes from a forest which is responsibly and sustainably managed. Our packagings are guaranteed free from Bisphenol A and Phthalates and comply with the current European regulation on the absence and migration of harmful products.